The other week I shared some a link to some great boy themed Elf on the Shelf ideas. While those were a great hit with the boys around here, it is time for some girly things to happen in the house. 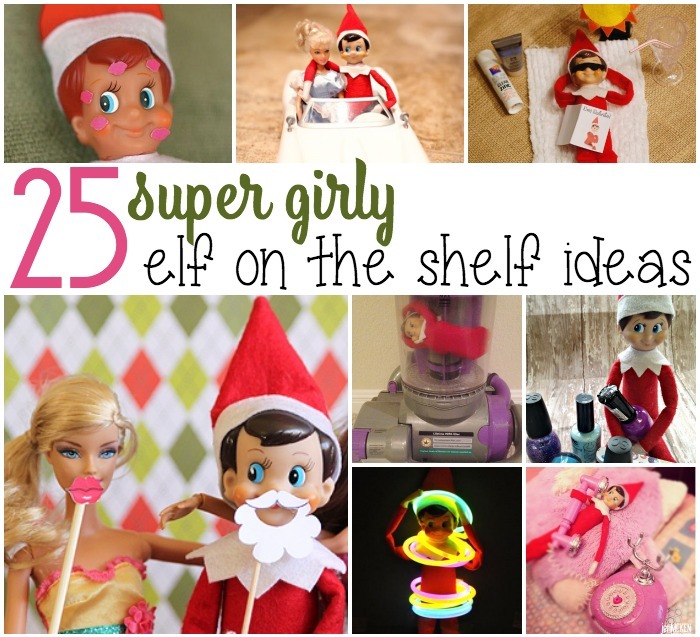 I love the ideas that Jamie from Totally the Bomb has put together in her post 25 Elf on the Shelf ideas for Girls. I know that Little Miss is going to be so happy about our Elf going on a date with one of her Barbies again! This is always a great way to add the girly in without making our male elf too girly. However, I think the photo booth props look adorable…maybe something to try!! What do you love to do to make your elf girly for your girls?